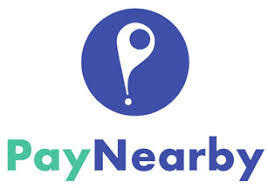 India’s leading digital fintech brand PayNearby has introduced BharatQR across its 2 lakh merchant network.This is the second significant launch performed by the company after it successfully released Aadhaar Enabled Payment System (AePS) capabilities in partnership with National Payments Corporation of India (NPCI) and YES Bank in alignment with the JAM trinity (Jan Dhan-Aadhaar-Mobile) to advance the services to citizens under Pradhan Mantri Jan Dhan Yojana (PMJDY). The new move initiated by PayNearby is aimed at boosting cardless transactions, ensuring merchants to receive payments seamlessly through technology-led methods. Through BharatQR, the company is trying to empower the shopkeepers. “PayNearby has been formed with the objective of digitally empowering local shopkeepers and allowing customers to be privy to a host of financial and non-financial services at the first mile. Our overarching goal has always been to facilitate multiple, technologically-advanced payment methods that can boost India’s progression towards becoming a cashless economy. Recent approvals from Reserve Bank of India regarding tokenisation and work done by NPCI on BharatQR, both safeguards customers from skimming their cards. With our team of 488 able professionals and over 4 lakh retail partners, we are on a nation-wide mission to extend digital financial inclusion to all. 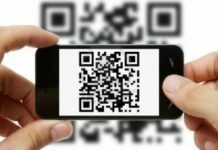 BharatQR integration is a massive push in this direction, as we make greater progress towards achieving this vision,” said Anand Kumar Bajaj, Founder and Chief Executive Officer, PayNearby and Chair BCFI Communications Committee. , “YES Bank has been a pioneer in furthering Technology-led banking innovations in India through its ART strategy – Alliances, Relationships and Technology-based partnerships. PayNearby, as one of our preferred partners, has shown deep commitment to working together to bolster digital payments ecosystem in India. We believe that the next phase of growth in payments will be a function of innovating for the merchant segment, thereby also meeting India’s twin national agenda of financial inclusion and ‘Digital India,” said Ritesh Pai, Chief Digital Officer at YES Bank. “NPCI is proud to host FinTech startups like PayNearby who are dedicated to the cause of inclusion and have helped take forward the mandate and technology built by NPCI along with Banks. It furthers the national agenda of digital payments. We have seen the AePS and BBPS deployment done by PayNearby and are confident of their success to promote BharatQR. 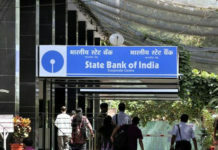 With the integration of BharatQR, PayNearby will be able to further enhance the customer and merchant experience and accelerate the growth of digital payments adoption across India in the smoothest manner,” said Dilip Asbe, Managing Director and Chief Executive Officer National Payments Corporation of India (NPCI). Previous articleHow changing technology involving automation solutions impacting businesses?